“Parenting in the Loop” began five years ago after my granddaughter was born. Just like the younger moms at the Mom 2.0 Summit that I attended recently, I was looking for “my people”. What I found was a large group of moms, who were blogging, they were easy to read and relevant to me as I was helping my daughter care for my new granddaughter. Things had changed since the 80’s! Yes, I had already raised 2 girls but that was 25 plus years ago.To me, it seemed it was the Ice Age compared to 2008. Although being a grandmother was somewhat surreal, I fell right back into taking care of a newborn…I had always enjoyed the night feedings. It was a very quiet time in our home, to relax and really get to know my own girls and now I was able to experience this again with my granddaughter. I cannot say how grateful I was and still am to have had that time with her. Prior to her birth, I had to have open heart surgery…although it was elective…my mitral valve was not functioning well and would only get worse if I did not have the necessary surgery to repair or replace it. The surgeon would make the repair /replace decision when he actually saw the damaged valve during surgery . Because of my own prior experience as a nurse in the cardiovascular recovery area at NYU Medical Center, my fear was over the top. My previous work made an indelible mark on me. Every day when I arrived and left work,I prayed I would never have to have such serious surgery…EVER! Even though a lot of changes had been made in this type of surgery, having to have my heart stopped and have an artificial pump doing the work of my heart was extremely frightening. As preparation for surgery, I was to learn and practice Kundulini Yoga. Not only did it strengthen my body but it also strengthened my mind and soul. I felt so much more in tune with myself and accepting of what was necessary in order for me to be there fully for my daughter and granddaughter. Surgery was in March and my granddaughter was born in August…that gave me more than enough time to recover more or less fully from this extraordinary operation. What I did not count on was the arrythmias that complicated the post surgical recovery. I was plagued by these for months even after my granddaughter was born. My cardiologist wanted my heart to fully heal before offering me an ablation procedure to correct these annoying and potentially dangerous arrythmias. At times, I was “down” thinking again of having a potentially “life threatening” procedure! When my granddaughter was only a few months old, I had the ablation…of course it was a complicated one and I almost died. In fact, they told my family that I was bleeding into my heart and it could go either way if the bleeding did not stop. Fortunately, my cardiologist and friend along with his associates were able to stop the bleeding and finish the procedure. It gave me a whole new life without crazy heartbeats. What a blessing it has been to be able to help my daughter and granddaughter. Gratefully since then, my life has been full of struggles and fun with a little girl growing up in my midst. Parenting in the Loop born…shortly thereafter. Blogging became an outlet for me to share what I already knew about parenting and what I was currently learning about parenting at the same time. After many years, as a nurse with a masters degree in maternal and childcare, I was confident that I had growth and development down pat and since I had recently earned a clinical social work masters degree…I was even more aware of the psychological development of the child-parent child relationship. I also recognized that it was easy to read this stuff but not always easy to live it. So “Parenting in the Loop” was born along with my granddaughter…it helped me to straddle my world and my daughter’s world. My research was reading other moms’ blogs about babies, toddlers, school age children and teens. They were a great! I don’t know just when I began to read Momma’s Gone City by Jessica Shyba, but it was sometime in the beginning of my research. Her stories were charming…she was young, living in NYC with her family, which at that time was Jack and Zoe…and her husband, who was a NYU Dental School. I was able to loose myself reading and looking at her wonderful pictures of NYC, which had been my home until I was thirty. She had a list of must read blogs on her website, so I clicked over to read some more wonderful mom anecdotes sharing the trials and tribulations of current motherhood. But I was a grandmother writing a blog…how was this going to be meaningful to me? I had to figure that out…another challenge. There were several other bloggers that helped me along the way ….by that I mean that I learned from reading their writings and their comment sections...Annie at PhD. in Parenting was one and Jessica Gottlieb was another. Both were wonderful writers and had an integrity about their work that I found refreshing and something that I wanted to emulate. Eventually, “Loop” became more than a play on words about Chicago where I now lived. Loop became the child, parent, grandparent…and sometimes great grandparent relationship loop. It was more than amazing to me to see that as a grandparent I was bringing my granddaughter into the loop of women that had been influential in my own life. We may not have had the internet with all the social media but we lived in close proximity and shared many traditions and countless moments of laughing, crying, discussion and even arguing. As “Parenting in the Loop” progressed, I longed for more information about what it was like to be a mom in the current times. I found the mom blogger community to be a fascinating one. Not only were they sharing, they were supporting each other and they were active in causes that were near and dear to me especially, post partum depression, breastfeeding and being a working mom at home or outside the home. The mommy wars were puzzling to me however. But when I thought about it more and more, it became evident that women can be hard and judgmental of other women. who are experiencing similar situations. Over the years, that has not changed much except there is more opportunity to criticize on social media…but the good side is there is much more opportunity for offering and finding support. Moms do not have to “get over it” they can find “friends” to offer them advice and comfort. 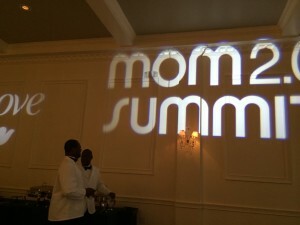 This past week, I attended Mom 2.0 Summit for the third time. It was in Atlanta this year and as in the past the conference, the sponsors and the attendees amazed me with knowledge, willingness to share and blogging professionalism. It was refreshing to be among such an energetic group of women as they relaxed and renewed friendships while forging new ones. The Iris Awards was just an amazing evening, honoring the women, who have made such a mark on the blogging community. At times, I felt somewhat of an outsider…age is a factor in these feelings. I remember being a young mom and not wanting to hang out with my mom and her friends, even though I loved them…I had much more in common with my own peers. It is a fact. Although “Listen to Your Mother” is a popular show traveling the country, mixing and socializing still seems somewhat age related. I would love to see more grandmas blogging and sharing but we did not grow up with the internet and therefore the learning curve is steep. For now, I will continue to blog at “Parenting in the Loop” and support all my mom blogger friends. 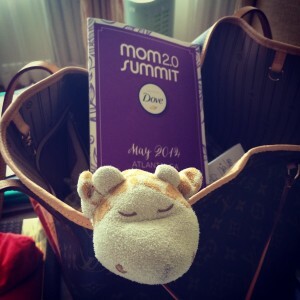 I am planning to attend Mom2Summit 2015 in Scottsdale. I will continue to be amazed by this great group of women. who have taken the internet and grandparenting to a level that I never in my life anticipated. My future is open to the many opportunities that blogging offers…I now even have a second blog at Chicago Now…”Today’s Grandmum”. So…”listen to your mother” and enjoy the ride…you only go this way once make it worthwhile and continue to be kind to one another as you leave your footprints in the sand! Many thanks for reading “Parenting in the Loop”! 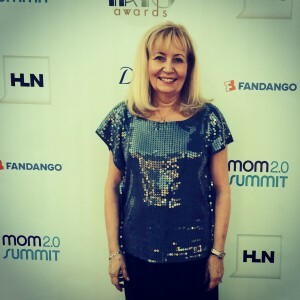 This entry was posted in Fun, Grandmas & Grandpas, Parenting and tagged blogging, Mom 2.0 Summit 2014, parenting in the loop by llpitlwp. Bookmark the permalink. Lorette, it is a privilege to know you as a mother, grandmother, friend, and now, as a blogger, too! Your dedication to your family and friends, and audience is amazing, and your work as a blogger is inspirational. I am so grateful that your heart is still ticking, because you have a kind and good heart, and you add value to the world you inhabit.